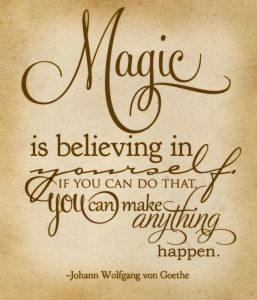 Johann Wolfgang von Goethe was born in the middle of the 18th century. He was born in 1749 at the time of enlightenment. Well-known contemporaries of his generation are Adolph Knigge (1752-1796) and Caroline Herschel (1750-1848). Born at the end of the 1740s, he lived a childhood in the 1750s and his youth in the 1760s. While he lives, a. also Heinrich Heine (1797-1856), Eduard Mörike (1804-1875) and August Heinrich Hoffmann of Fallersleben (1798-1874). Johann Wolfgang von Goethe’s life span is 82 years. He dies in 1832. 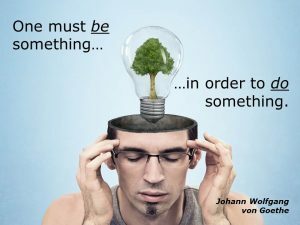 Johann Wolfgang von Goethe is probably the most famous German poet of all times and is considered a universal genius. He has gained recognition with important works not only in literature, but also in art theory and natural sciences. Goethe, for example, developed his own theory of color and discovered two hitherto unknown bones of man. His literary work influenced the society in his lifetime and his works are regarded as standard works for different epochs and genera. His “Wilhelm Meister” is the classical educational romance and his Werther the parade example for the stylistic direction of “Sturm und Drang”. Johann Wolfgang von Goethe grew up with a younger sister in a well-to-do parental home in Frankfurt. His father, Johann Caspar Goethe, was an Imperial Counselor, and had a temperament which was always opposed to his wife, Catharina Elisabeth, twenty years younger. Goethe should have inherited both temperaments of his parents. In 1759 the ten-year-old Johann Wolfgang was brought into contact with the French theater and the literature of Racine and Corneille during the occupation of Frankfort by the French. He started his first dramatic experiments. In 1765, at the behest of his father, he began a study of law in Leipzig, which he had to interrupt in 1768 due to a severe pulmonary disease. He had to get well at home in Frankfurt and got to know his relatives Susanna von Klettenberg, who introduced him to the pietistic circles and animated them with an interest in mythical literature. In 1770, Goethe continued his studies in Strasbourg. Here he made friends with Jung-Stilling and Herder. His interest was directed to Homer, Shakespeare and the re-discovery of the ancient world. One year later, Goethe graduated from his studies and began his work on the “Götz von Berlingen”, his first drama. In 1774 he succeeded in the breakthrough with the Welterfolg “Werther”. The society fell into a true Werther mania, a few young men took their lives from melancholy and worldly pain. This time, in which Goethe also wrote his hymns “Prometheus” and “Ganymed”, is regarded as the epoch of “Sturm und Drang”. Goethe’s Weimar period followed. Goethe was called to his court by Duke Karl August as minister and tutor. Here he had a literary circle among the duchess-mother Anna Amalia. He met Wieland and his lifelong confidant and older friend Charlotte von Stein. Here Goethe wrote ballads like “Der Erlkönig” (1782). In 1786 Goethe secretly left the Weimar court and traveled to Italy to free himself from personal and professional constraints – including Charlotte. Goethe was enthusiastic about various female personalities of all ages and educational backgrounds, and worked on these feelings in his works. In 1788 the “Egmont” and “The Roman Elegies” were created. From 1794, he and his friend Friedrich Schiller coined the epoch of “Weimar Classicism”. In 1796 they composed the “Xenien” in which they criticized the contemporary literature. Schiller supported Goethe in the reworking of various of his works. In 1806, Goethe married the uneducated Christiane Vulpius against the will of the court. In 1806 Schiller died, and after him Herder and Wieland also died. Goethe reoriented himself, dealt with Fichte’s transcendental philosophy and made friends with Humboldt. “Faust I” appeared, 1809 he began the work on “poetry and truth” and the “electoral relations” were published. 1816 his wife Christiane died, 1830 his son August. One year before his death, Goethe closed the “Faust II” and the fourth part of his autobiography “Poetry and Truth”. Johann Wolfgang von Goethe was born 268 years ago in 1749. On which day was Johann Wolfgang von Goethe born? Goethe had his birthday after the Gregorian calendar in the summer of August 28th. He was born on a Thursday. In 2017 his birthday fell on a Monday, 2018 he is on a Tuesday. What was the star sign of Goethe? Johann Wolfgang von Goethe was born in the western zodiac Virgo. Where was Johann Wolfgang von Goethe born? 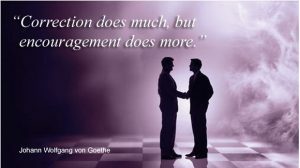 Goethe was born in Germany. He was born in Frankfurt am Main in the Holy Roman Empire (today Germany). Johann Wolfgang von Goethe died 185 years ago in the 19th century on 22 March 1832, one Thursday. 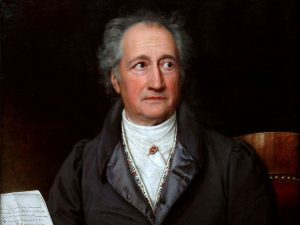 How old was Johann Wolfgang von Goethe? Johann Wolfgang von Goethe was 82 years old. Johann Wolfgang von Goethe had a height of about 1.69 m.